2015 New Year’s Resolutions: Why Wait? How’d you do? I would venture you got at least half of them! Nonetheless, not all Americans take the time to make New Year’s resolutions. In 2014, about 38% of Americans said they “never” make resolutions, 45% “usually” make resolution and 17% “sometimes” make them. More importantly, though, is the percentage who actually manage to keep their resolutions: only 8% of people are successful in achieving their resolution! Moreover, the drop in maintaining your resolutions is rapid: 29% of resolvers quit in the first two weeks and within six months, only about half of resolvers are still at it. So keep that in mind if you are selling diet plans, gym memberships, health foods or organization systems! So, is it better to not make resolutions at all or to make them and fail? Apparently it makes a more positive impact on one’s life to make resolutions. About half of those who make resolutions report having infrequent (but some) success, and only 24% who make resolution never succeed, always failing to keep their resolutions. Regardless, people who explicitly make resolutions are ten times more likely to attain their goals than people who don’t make resolutions! We asked the associates of Infosurv Research about their resolutions for 2015, to see how they compare to most Americans. Only one in four of our researchers make resolutions, and they are pretty similar to the standard resolutions identified in the University of Scranton survey. One of our researchers in the non-resolution camp put it well when he said, “Typically, if I convince myself I need or want something in my life, I begin immediately. I don’t like to wait.” That’s similar to another researcher, who said he doesn’t have to make resolutions, because he has a wife and three daughters who are only more than happy to let him know when he needs to make some changes! Whether you make resolutions this New Year’s or not, we hope you have some fun with them. 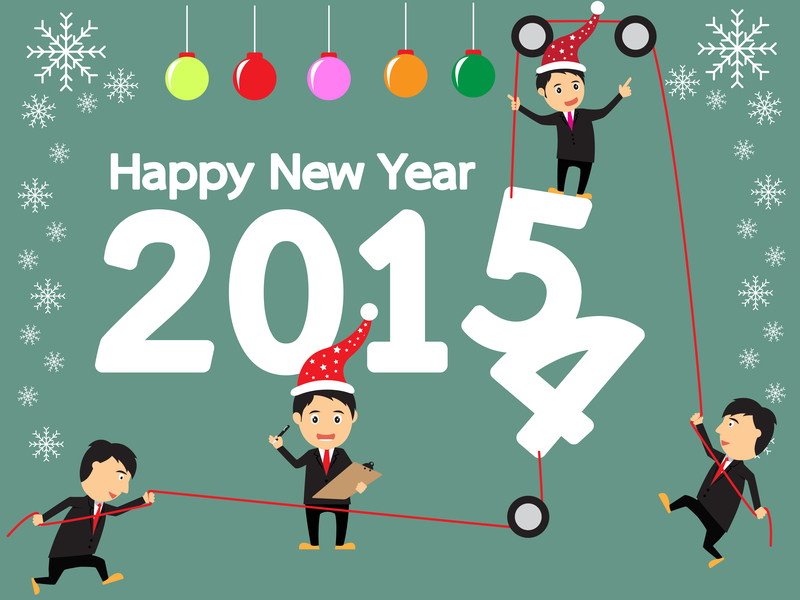 We here at Infosurv wish you a safe, healthy, happy, successful, and prosperous 2015. Happy New Year!